A couple of weeks ago, Jessica Davies over at Digiday wrote a great article about the Guardian's approach to Instagram stories, which I wanted to comment on because it illustrates a misconception that I often see in the media. Jessica's article itself is worth reading and very insightful, but let me explain why I think the Guardian is missing an important element here. 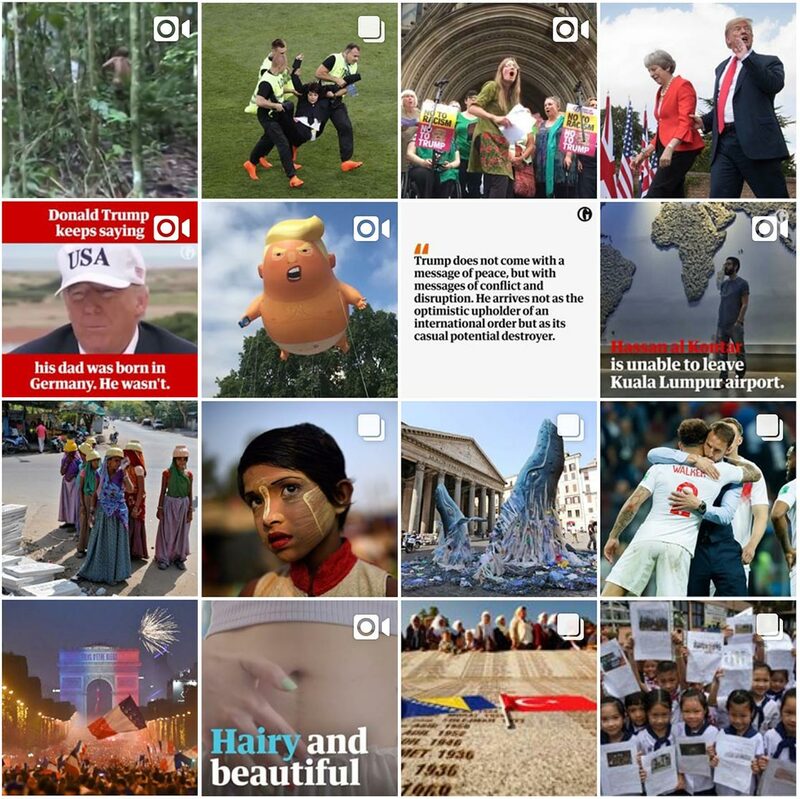 Two months ago the Guardian started tracking and analyzing its Instagram audience data on a more granular basis, to test what formats and topics it should develop and evolve and what should be scrapped. [...] After crunching data, the Guardian found that heavily produced videos with scripts and shot in a studio and professionally edited were simply not worth the effort. [...] It was just too laborious for the return on investment. Less labor-intensive posts have been introduced instead - static graphics or quick video explainers on news topics - have proved more popular. This is a common thing that I often hear from traditional publishers. When comparing a very expensive and resource intensive studio setup to a very quickly produced 'moving slide show', the studio setup just doesn't justify the result. Well...first of all, I'm in no way surprised by this outcome because think about what you are doing. You are creating very time consuming 'macro-moment' content for a channel that is entirely defined around people having micro-moments. In other words, you are spending hours of work to get people to just casually watch something for a few seconds before watching something else. On top of this, newspapers in particular have this massive problem with a lack of focus. I have talked about this a million times before, but the newspaper industry just don't seem to realize how much this is setting them back. Don't get me wrong, newspapers can get a lot of traffic (often far more than any other type of media), but because news is so random, people have a really hard time 'connecting' with a newspaper. We see this all too clearly when we look at sites like the Guardian on Instagram. What you see here is not very inspiring, not very pretty, but mostly very random content. I mean just look at it. Mind you, I'm not criticizing the Guardian's quality of journalism. The Guardian is a great newspaper. But on Instagram, where the focus is mainly to inspire people and get people to connect with you, what do they have to offer here? Randomness? Feel good type stories that don't really make you feel good? Outrage? Quick quotes? I'm not saying this doesn't work. The Guardian has a million followers on Instagram, but the 'value of the engagement' is pretty low. Most of the pictures only have about 5,000 'hearts'. That's a very low number if you have a million followers, and it's because there is nothing to really follow. 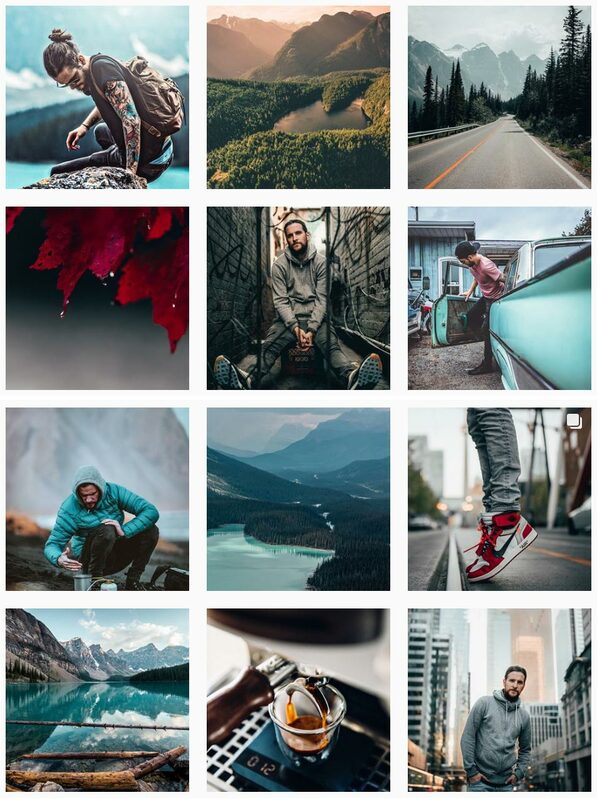 In comparison, here are some pictures posted by Peter McKinnon, a YouTuber and photographer. Like the Guardian, he also has a million followers, but more importantly each one of his photos has about 100,000 to 150,000 hearts. That's an engagement rate 30 times higher. Just stop and think about the difference here. Every one of Peter's pictures is super impressive in both style and quality. He has clearly put a lot of effort into each one of these ... and he is completely and totally outcompeting the Guardian in terms of value and engagement by a very large margin. the Guardian found that heavily produced videos with scripts and shot in a studio and professionally edited were simply not worth the effort. The reason the Guardian can't get professionally edited content to work is not because of how it was made. It was because the content is just low-end micro-moments. The Guardian is wrongly blaming the format when they should be blaming the content. What the Guardian publishes now feel much more like news stories that are very much the culture of the internet - more like BuzzFeed's style. [...] The language and use of emoji, and more low-fi sets, having younger presenters from all different kinds of backgrounds that will likely resonate more with the young audience they want to reach. You see the problems here? First of all, we see the problem with 'generalization'. The Guardian is generalizing their audience, rather than thinking about what it wants specifically. This means that, by default, their engagement will also be generalized, meaning that it will be very low-intent, with almost zero loyalty, and no ongoing momentum. Secondly, we see the problem with 'lowering the intelligence' of the audience. This is again a common issue in the media. When publishers notice that the majority of the audience don't really care, they make the mistake of thinking that this is because people don't want to care. As a result, and as we see with the Guardian, they then make the assumption that not caring is what works, so they lower the value and the intelligence of the content to a level where you can just consume it without ever really thinking about it. In other words, you are solving the wrong problem. Think about the Guardian's business model, which today is defined around getting people to support the Guardian and the journalistic purpose of that. And then look at their low-intent, emoji, low-fi sets for young people who don't really care. I mean, sure you might be able to get more views because of that, but how does that align with your business model? The Guardian is solving the wrong problem, and, in doing so, they are sending the message that the audience don't want quality and dedicated journalistic work. Finally, we have the much bigger problem that they forget to think about the content. Again, this is not unique to the Guardian, I see this all the time with almost every traditional media company. They are so used to just producing random content that every time they talk about doing something, they focus on the things around the content, rather than on what the content itself is about. Again, look at the difference between the Guardian and Peter McKinnon. The Guardian has a format strategy where they just add random content into it, but at no point do they really stop to think about what that content is or how that would apply to an individual. It's all just mass-market generalized 'stuff'. In comparison, Peter McKinnon doesn't have a format strategy, he has a content strategy and a caring strategy. What he does is to define the focus of his content and what value he wants to create with that first... and only after will he start to put it on Instagram. 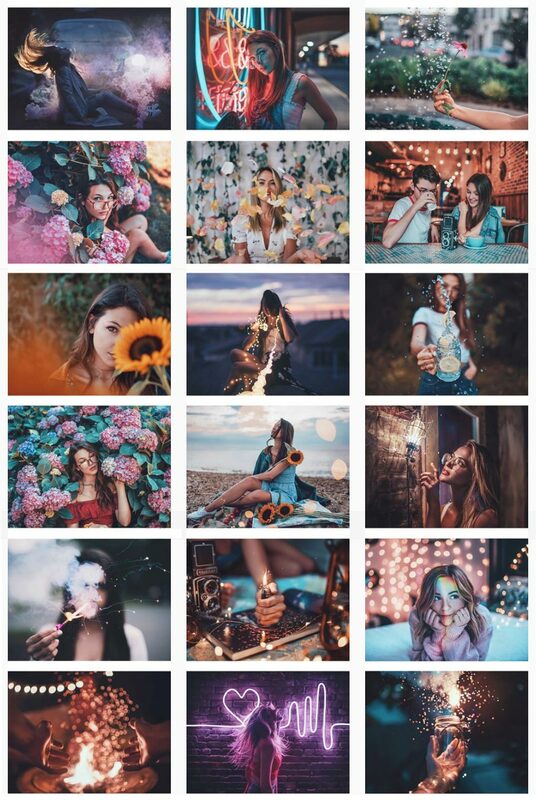 Here is another example from Brandon Woelfel, who has 2.2 million followers with each picture getting about 200,000 hearts. Just look at how specific the content strategy is compared to what the Guardian is doing. And again, every one of these pictures is professionally edited and planned. This is how you get people to truly engage. Not, 'oh here is a random news clip presented as a slideshow with some random text above and a few emoji added to look young'. The reason the Guardian can't get its professionally produced content to work is because the content doesn't match what they want it to do. Blaming the professional studio setup for the failure of your Instagram strategy is just... well... misguided. So I want you to do something. Take a look at the following elements and think about each of them in relation to intent, engagement, loyalty, momentum, and individual value to each of your fans. Not generalized mass-market value, but individual value. Try to imagine where you are in relation to this, but also where your audience is, and where Instagram is. Instagram is designed to be a channel where you just look at the people you follow during a short break. This means that Instagram is designed for micro-moment types of interactions. So in terms of short form and long form, Instagram doesn't really work for long form. It doesn't really fit that format. This is the first important thing to understand, because, as a newspaper, you have a tendency to want people to watch / read for longer, but it doesn't really work. This is even true for Instagram TV (IGTV). It may be that in the future this might change, but the user patterns we see around IGTV in this early stage are very much the same as for Instagram as a whole. What's interesting, however, is that Instagram is not like Facebook. Facebook is very heavily designed (due to its algorithm and market position) to not just be for micro-moments, but for random moments. In other words, it's low-intent. Instagram, however, is slightly different. While it's still optimized for a micro-moment, and while the audience doesn't really come to it with a specific purpose in mind (mostly because they have no idea what they are going to see), people do expect a more focused result. They are not looking for random content. They are not looking for just another post like on Facebook. So, Instagram is weird in that, by default, it's kind of like Facebook, but with the expectation of a much higher quality output. This basically means that you have two markets. You can reach people in the 'default' mode, where people don't really know what they are looking for, and because of that don't really care either. But if you try to optimize for that, you miss out on the real effect of what Instagram is about. You might get the traffic, but you will not get the engagement. This is the difference we now see between the Guardian and Peter McKinnon. Overall, both of them optimize for creating low-intent micro-moments. But Peter McKinnon then takes that a step further to make those ultra short moments awesome, which is why he gets all the engagement... while the Guardian just does the default, and because of that isn't getting much engagement at all. And this is where all these other factors come in. Both sides of this can lead to the same level of traffic, but only the higher-end side can also deliver engagement. This leads to a bigger problem, which is about money. If you are on the lower side with just random content that people don't really connect or engage with, how likely are you to be able to convert that into something better? For instance, how likely is it that this audience will become a Guardian Member? The answer is that it's highly unlikely. If all you give them is low-effort, cheaply produced slideshow news, why would people subscribe? In comparison, if you optimize for the higher-end side, like what we see with Peter McKinnon, how likely is that to be converted into something more? But the problem with both of these scenarios is that Instagram by itself is too short to drive any direct revenue. It's possible to drive brand partnerships, but again, only if you do the higher-end stuff with a much higher engagement rate. And brand partnerships don't work that well with hard news sites like the Guardian. This means that you need to use Instagram to get people to go somewhere else, which also means that Instagram is not a content channel, it's a marketing channel. And what this means to me is that Instagram is not a 'news' channel, instead it's a channel 'about the news'. So if I was running the Guardian's Instagram channel, what I would focus on would be something that isn't just about giving people random news stories. I would be much more specific, with the aim of getting people to think about the news in a different way. One example would be to focus on one critical aspect of what defines the value of what you do as a newspaper, and, to me' the most important element that I can think of is 'why you should trust us'. So, I would use Instagram as a kind of 'reality check', where instead of just giving people random news, I would create content that was designed to ensure that people had the right data. Mind you, I'm not talking about fact-checking here. I'm talking about fact-illustrating. What is the difference, you ask? Well, fact-checking starts out by first having a person make a misleading statement and then you merely fact-check it, which means you are limiting your scope to something that is already misleading. And, as we all know, this doesn't actually work, because people will see the wrong information far more than the fact-check that came later... and on top of that it polarizes people in ways that are often really bad. So, fact-checking is a cool idea, but it doesn't actually work. Fact-illustrating, on the other hand, ignores the lies and just focuses on taking a topic of relevance at any given time, giving you the most factual representation of that without being limited to anything the 'bad' people are saying. In other words, you give people a better understanding of the larger perspective, by illustrating critical thinking, rather than just focusing on single statements. This is a much better model. Anyway, this would be my focus for a newspaper Instagram account, because this will give us two things. First of all, we can shift the focus from low-end random content for a mass-market, into a much more valuable, more relevant, and more focused market of 'this is a place for facts'. Not facts in the abstract, but actual facts. And with this, we can change people's perceptions, so that when they later visit your newspaper, they are no longer coming as random people with low-intent. They come as informed people who want to learn more. This will probably not change the level of engagement you get, but it will change the conversion effect in getting people to become a member. The key element, however, is to make sure you are relevant to the moment. Don't just post random facts, and please don't just post low-end slideshow videos that just scream that you didn't really care about the content. Make each post relevant to what people need to know every day. So, focus on the 'news value' of these facts, but don't report as news. Report as a fact-illustration. This way, you get the relevance of the news effect, and you end up with people feeling smarter and more informed. So, this is one example of how I would run a newspaper Instagram page. The second example is similar to the first one, but instead of focusing on either the news or the specific facts, I would focus on the process of all the effort, the passions, and the purpose of what makes you a great newspaper. This is something we almost never see from traditional newspapers, because you operate in private, and the only thing you output is a news article. But I have no idea about any of the work that went into this. Instagram is the perfect channel for that, because you can use it to show your process and to illustrate to people that you really put in some work to make sure this story was as accurate and well-researched as possible. Mind you, what I'm talking about here is not 'behind the scenes' content, because nobody really cares about that. If you post a picture of how you are setting up your cameras to do an interview, nobody cares about that, because that doesn't give any insights. Only other people in the media industry would be interested in that. So, to make this relevant for the public, you need to shift that mindset from all the things 'around the news' to be about 'the process of the news itself'. What was your thinking? What was your planning? What are you hoping to achieve? And do this in relation to what people would need to know. So, for instance, if you are covering the big forest fires in Sweden or Greece, how did you plan to identify what was really happening? What steps did you take to make sure that the information was as accurate as possible? What considerations did you make to ensure that what you reported was super relevant? Keep in mind, all of this sounds really 'big', but Instagram isn't designed for long form content. So, we are not talking about creating documentaries of your process, because nobody will watch that on Instagram. We are talking about making people feel closer to you as a newspaper and your journalists, by bringing the audience along with you as you go through the process of creating high value news. 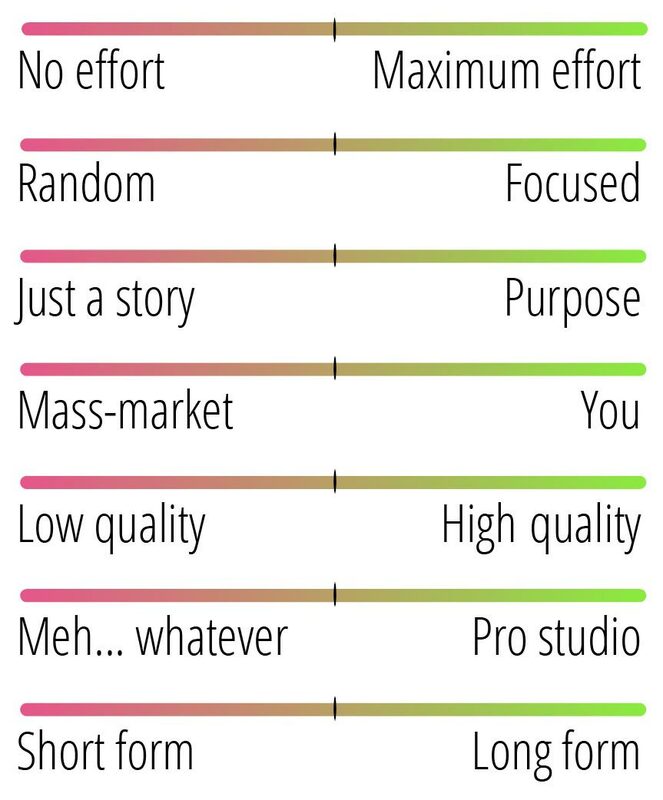 Use this to invite your audience into the news process. Show how much you care about the stories you write. Show how much you care about making sure this is relevant to your audience as individuals. Show how you made sure that you looked at things from the larger perspective and how you picked out what was important. Again, it's very important here to make it relevant to the moment. Even though we are not really using Instagram to deliver the news, I should be able to go to your Instagram page and get a sense of what is important to know right now. So, think about what is the most relevant and important news story right now, and then 'show the process' around that in such a way that I kind of get the news indirectly. I'm reminded here of something I wrote a couple of years ago about local news in an article called "Completely Redefining the Purpose of Local News". In this article I illustrated the difference between a local newspaper and two individuals who tried to help the local community during a forest fire in Canada. The newspaper generally failed because they were just focusing on 'reporting the news' and, because of this, they completely missed out on the process of helping their community. I touch on many other topics in that article, but it illustrates the difference between 'just report', which is common in the media, and 'being there for you', which is what you need on social channels. Focus instead on using social media to illustrate the process, and to explain to people what you are doing to make what you do more relevant. So, to bring this back to what we started with.... The Guardian told Digiday that creating professional content didn't work because people just wanted emojis and slideshows. I hope you realize now that this might not be the right way to look at it. If you go for the low-end solution, all you get is the least valuable type of low-end micro-moment, where you might get the traffic, but you don't really get an effect. Look towards all the non-media Instagrammers, and you will notice that the effort and dedication they put into things, as well as showing the process, is far more effective. Ask yourself if social channels really work for all types of content. For instance, are people really going to Instagram to read about sad things in the world, like how people were shot, how someone lost their child, or to read about North Korea? How does that type of content fit into all the other content people usually follow on a channel such as Instagram? 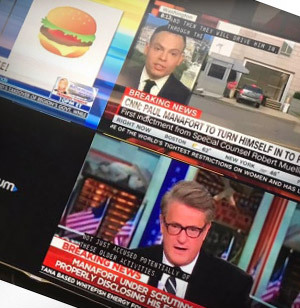 What you realize is that hard news is a very specific form of media, that only really fits into a very specific type of moment. When you try to force this upon people during other moments, you end up annoying them. Is that the best model?